Appears as a very happy and kinda crazy person. Has a lot of mood swings, is happy one moment, angry the next moment. She's not very girly (well, she is sometimes) and she actually doesn't really care if you call her a guy or whatever. Uh, likes tea, drawing, being random, uh chewing gum? 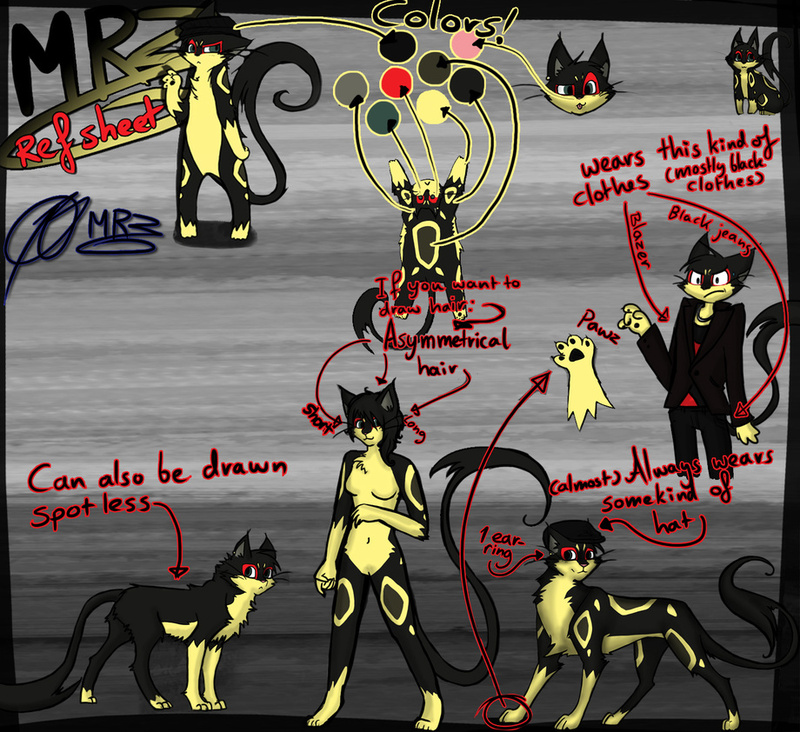 A ref sheet for my cat-sona-thing!